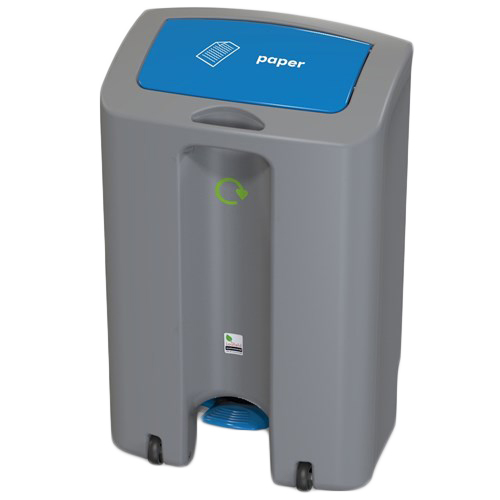 This bin is constructed from a durable and easy-clean polypropylene. It is pedal-operated to ensure hands-free use and encourage cleanliness. 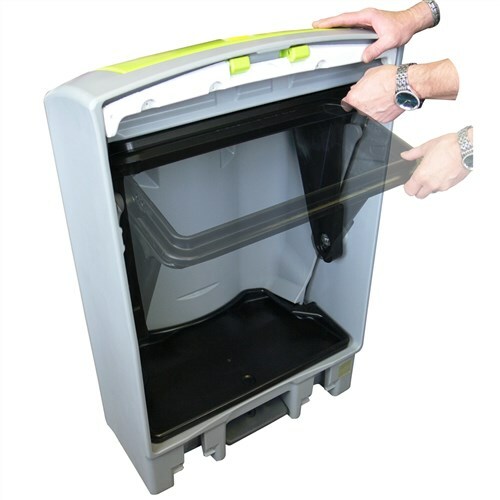 The lid closes into a tight recess that will contain odours and promote a clean environment. 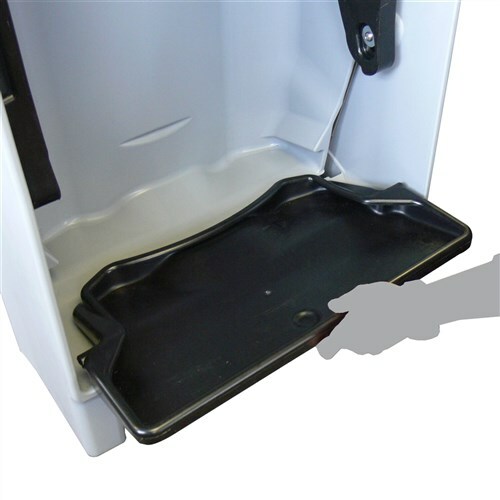 An easy-clean drip tray sits at the bottom of the bin to catch any leakages. 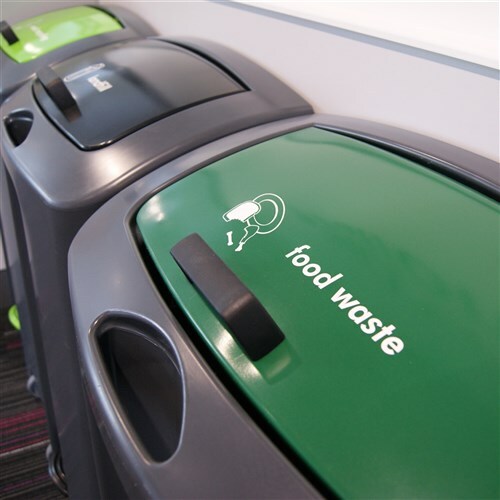 The graphics are moulded into the bin as opposed to being sticky labels as these curl at the edges and collect bacteria. 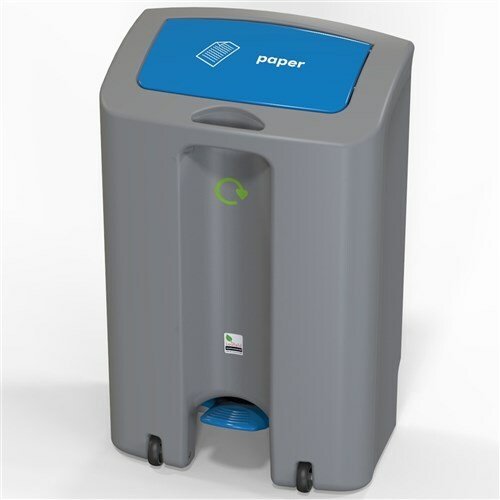 It includes a built-in handle and wheels at the front of the bin to allow for easy manoeuvrability when cleaning the bin. 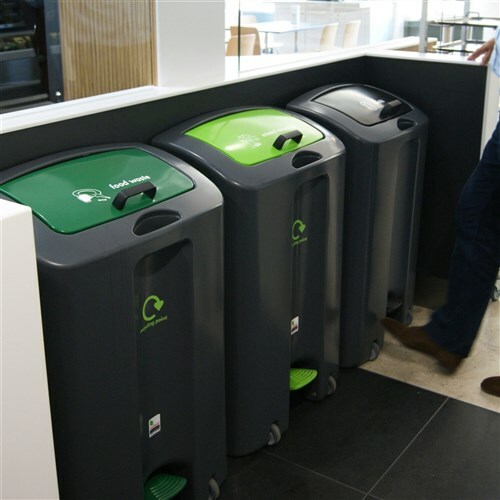 This bin is ideal for internal environments such as schools, offices, public buildings and domestic settings.